Happy National Women’s History Month, Nurses! 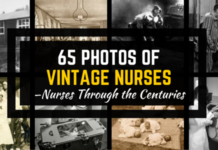 Throughout the years, the famous nurses of our history helped shape the modern nursing practice we know today. 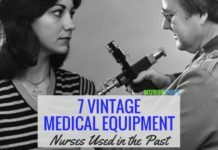 Their experiences during the time when nursing was not yet well-established are valuable in studying how nursing developed through the history. 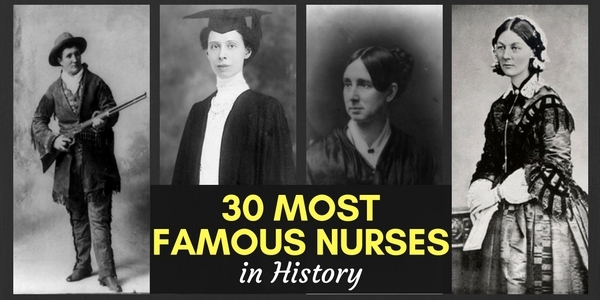 Take a look at the thirty most famous nurses below. Do you already know any of them? Famous Achievement: Ballard’s diary about her daily nursing life provided valuable information to historians. 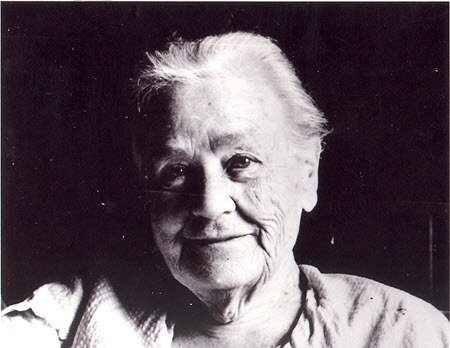 Martha Ballard is an American midwife that also worked as a nurse and herbal healer. Her detailed diary entries revealed her daily work as a midwife at a time where little was known about healthcare workers. She was an expert in giving herbal medicines and remedies especially to mothers who just gave birth. 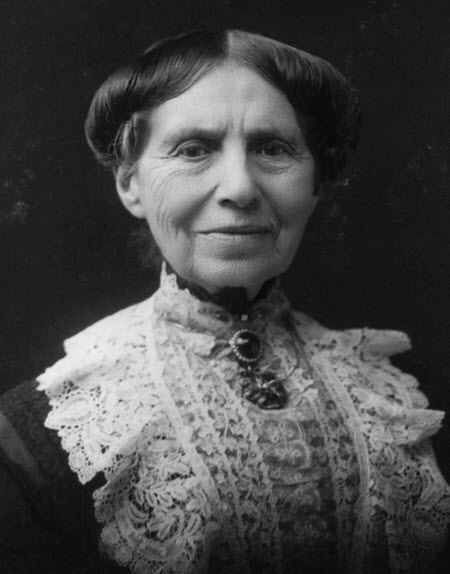 Trivia: She is the great aunt of another famous nurse Clara Barton. Her diary is one of the earliest record of nursing care in history. 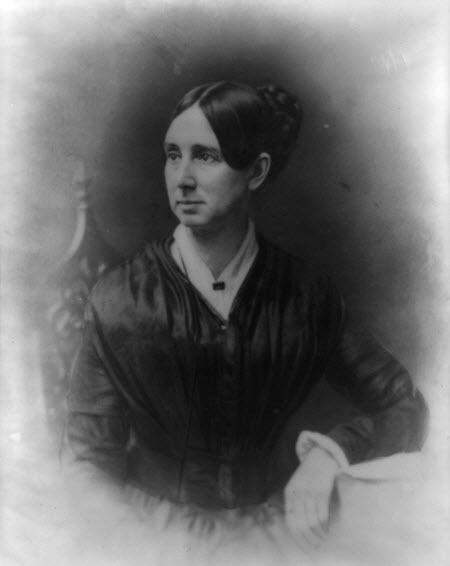 Dorothea Dix was originally a teacher by profession. She even had experience in running a private school in New England. Her advocacy for nursing began during the Civil War when she volunteered for the Union Army. She was appointed as the Superintendent of Women Nurses and managed over 6,000 women in providing nursing care to wounded soldiers in military hospitals. Trivia: After her volunteer duty during the Civil War, she worked in advocating for better treatment and care of patients suffering from mental illnesses. She helped in founding a total of 32 institutions in the US dedicated to the treatment of mental health illnesses. 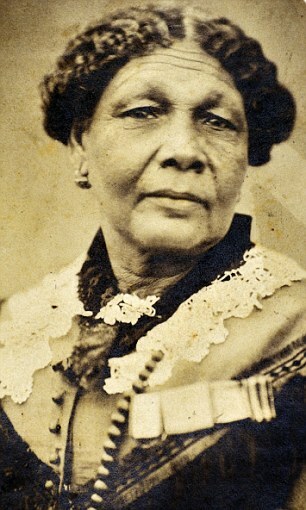 Mary Seacole volunteered to care for wounded soldiers during the Crimean War. She initially applied to the War Office but she was refused. As a result, she used her own money to travel to Crimea and helped in caring for wounded soldiers. She also helped treat patients in Jamaica during the cholera epidemic of 1850. Trivia: Mary Seacole’s autobiography entitled “Wonderful Adventures of Mrs. Seacole in Many Lands” detailed her work as a nurse amidst her difficulties with her mixed racial heritage. 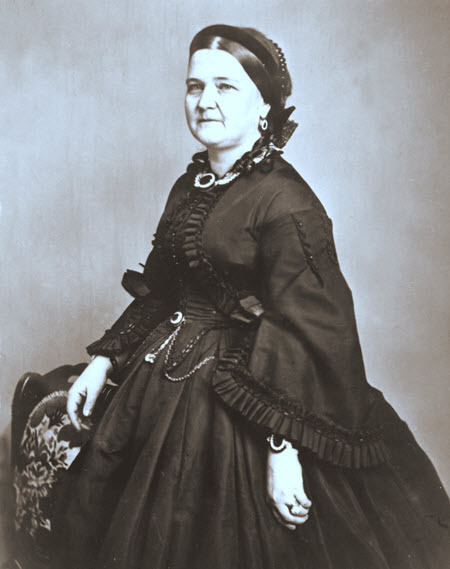 Mary Todd Lincoln is Abraham Lincoln’s wife and frequently called as the “first lady”. During the Civil War, she volunteered to care for wounded soldiers in Union hospitals. Trivia: Mary Todd Lincoln came from a wealthy family who were slaveholders. When she nursed wounded soldiers during the Civil War, she also worked in advocating the rights of freed slaves. Aside from being a poet, Walt Whitman was also a teacher, a journalist and a volunteer nurse. He never had a formal nursing education but he became inspired to volunteer when his brother was injured during the Civil War. He visited different Civil War hospitals and helped care for wounded soldiers. He also provided emotional support and helped the wounded soldiers in reaching out to their families. 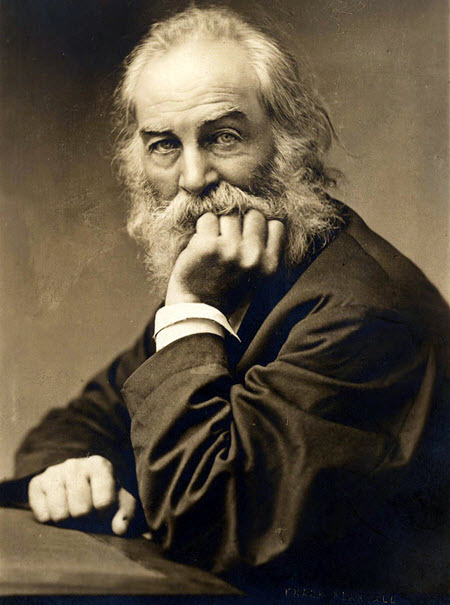 Trivia: Whitman’s book of poems entitled “Drum-Taps” was written while he was a volunteer nurse in Civil War hospitals. 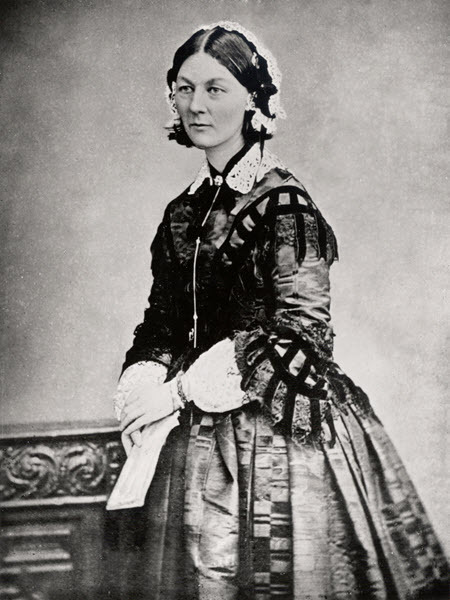 Florence Nightingale was born from a rich family in England. She pursued nursing even though it was against her family’s will. She completed her formal nursing studies at the Institute of Protestant Deaconesses in Kaiserswerth, Germany. Afterwards, she worked as a full-time nurse during the Crimean War. Trivia: Nightingale attributed the high mortality rate of soldiers in Crimean War to unsanitary practices. The things she learned from providing nursing care during the war were shared to other aspiring nurses when she founded the Nightingale School of Nursing at St. Thomas Hospital in London. Clarissa Barton worked as a teacher and a recording clerk before pursuing nursing. During the Civil War, she volunteered as a nurse and braved the battlefield to care for wounded soldiers. She was nicknamed as the “Angel of Battlefield” for her efforts in bringing medical necessities to the battlefield. Trivia: After the Civil War, Barton helped in locating missing Civil War veterans and in advocating for their benefits. This advocacy inspired her to found the American Red Cross in 1881 based on the International Red Cross relief organization. Linda Richards was a teacher before she pursued nursing. She was one of the inaugural class of the first American Nursing Training School at the New England Hospital for Women and Children. After one year of training, she was hired as a night supervisor at Bellevue Hospital Center. She developed a Patient Record Keeping system while working there which was later adopted both in the US and UK. Trivia: Richards also completed an intensive 7-month training program under Florence Nightingale in England. Nightingale inspired Richards to strengthen the nursing education system in the US. Mary Eliza Mahoney studied in New England Hospital for Women and Children nursing school at age 33. Out of 42 students, only four graduated and Mahoney is one of them. She became an inspiration in loosening policies against the isolation of black nursing students. 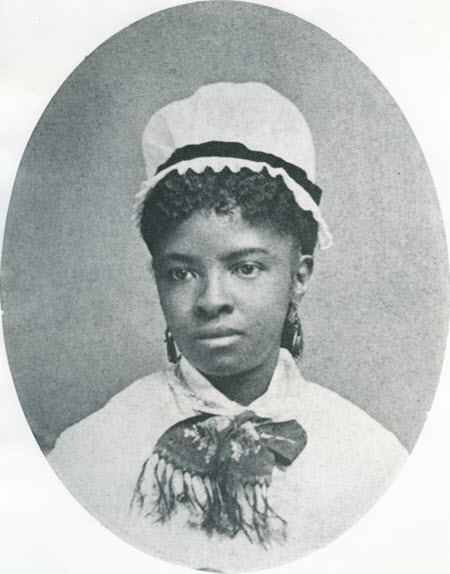 Trivia: Mary Eliza Mahoney co-founded the National Association of Colored Graduate Nurses in 1908. The association dissolved and merged with the American Nurses Association we know today. 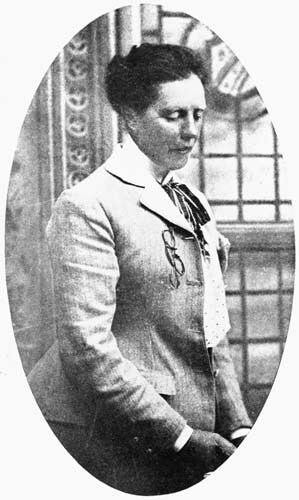 Elizabeth Grace Neill was originally a journalist but later on became a nurse. After seeing the need for professional registration of nurses and midwives, she helped Dr. McGregor draft the Nurse’s Registration Act. She was also a pioneer in regulating the education and registration of midwives. Trivia: Elizabeth Grace Neill also advocated for the opening of maternity hospitals to serve as training grounds for midwives and to cater for women’s reproductive health. She helped open the first state maternity hospital in New Zealand, the St. Helen’s Hospital. 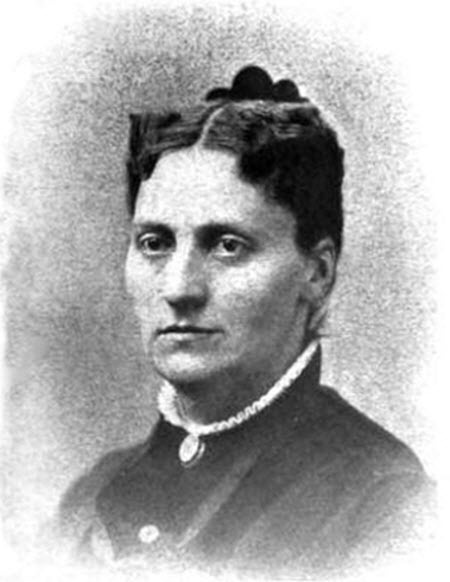 When Anna Caroline Maxwell first entered the nursing field at New England Hospital, she had no formal nursing education. She then studied at Boston City Hospital Training School for Nurses and finished the training course. She served for the army during the Spanish-American War and organized the first Army Nurse Corps. During World War I, she also received a medal of honor for Public Health as awarded by France. Trivia: Maxwell assumed different nursing positions in nursing schools around East Coast hospitals like Montreal General Hospital, Massachusetts General Hospital and St. Luke’s Hospital. She also worked on the development and improvement of nursing training programs in these hospitals. 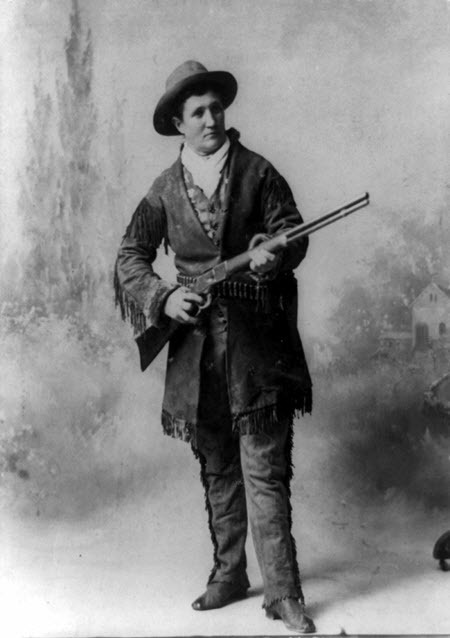 Famous Achievement: Known as “Calamity Jane”, an American frontierswoman and gun-slinger that worked as a nurse during a smallpox outbreak in Deadwood, South Dakota. Martha Jane Cannary joggled different odd jobs during her lifetime including being an Army Scout, cook, miner, prostitute, rider, gold prospector and nursing. She dressed like a man and she was was best known for her skills in shooting and drinking. During the smallpox outbreak in Deadwood, Cannary was already working as a rider for Pony Express. She volunteered to care for the eight quarantined men who caught the infection. Trivia: Cannary took charge in the care of those who caught smallpox in Deadwood. She nursed them using Epsom Salts and tartar sauce. Five of the eight infected men under her care recovered from the disease. Sophie Mannerheim’s first career was a bank employee. However, she became determined to change her career and pursued nursing after her divorce. She took formal nursing education in Nightingale School of Nursing at St. Thomas’ Hospital. 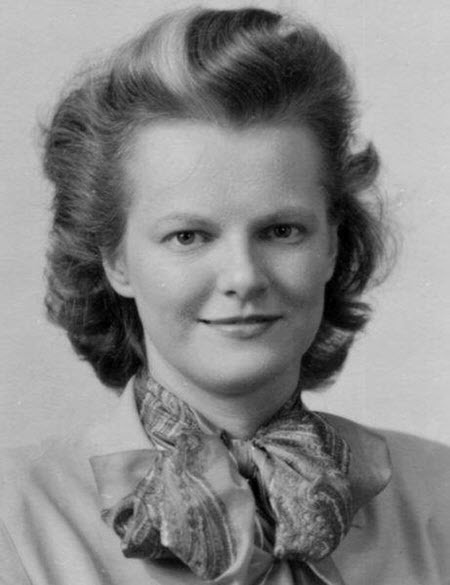 After completing her studies, she returned to Finland and became instrumental in bringing modern nursing education to her native country. Trivia: Sophie Mannerheim advocated for the formalization of nursing education in Finland. 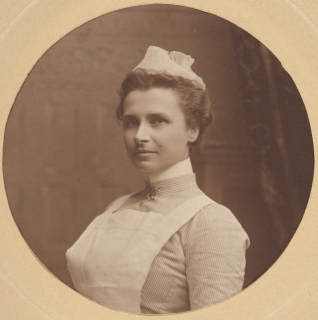 She became one of the most famous nurses in Finland for her advocacy in nursing. Edith Cavell is a British nurse who worked hard in providing nursing care to wounded soldiers during World War I. She helped everyone regardless which side she was on. She became very famous when she helped 200 Allied soldiers in escaping German-occupied Belgium. She was found guilty through a court trial and underwent death penalty. 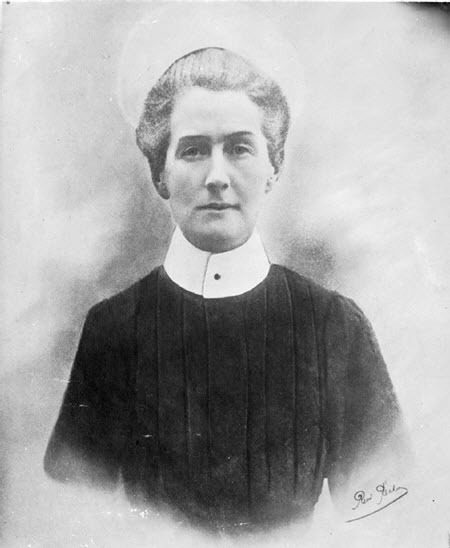 Trivia: Edith Cavell was executed at age 49 but during that time, she already helped establish modern nursing education in Belgium. During the 1890s, Lilian Wald taught basic nursing care and good hygiene to immigrant settlements in Manhattan. After seeing unsanitary conditions and poor access to healthcare services in neighboring communities, she became inspired to start the Visiting Nurse Service. With financial support coming from the government, she moved the organization to a bigger scale and later became the Henry Street Settlement House. It was the first community center to provide comprehensive assistance to people in need. Trivia: Lilian Wald helped establish three major organizations in the US – the National Organization for Public Health Nursing, the National Women’s Trade Union League and the Children’s Bureau. 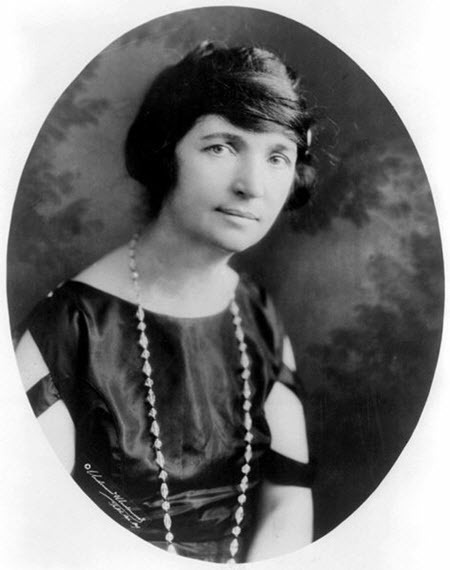 During Margaret Sanger’s time, discussing women’s reproductive health and contraceptive education was considered taboo and unethical. She gained inspiration to revolutionize the field of Women’s Reproductive Health when her mother’s health deteriorated after bearing 18 pregnancies throughout her lifetime. She pursued nursing and became a visiting nurse where she witnessed exploitation in reproductive health like self-attempted abortions and botched back-alleys. She opened the first American Birth Control Clinic, illegally, and had it closed down by the government nine days after opening. Trivia: Margaret Sanger founded the Birth Control Clinical Research Bureau and the American Birth Control League which later became the Planned Parenthood Foundation. She also took part in the development of oral contraceptive pills until FDA approved it in 1960. 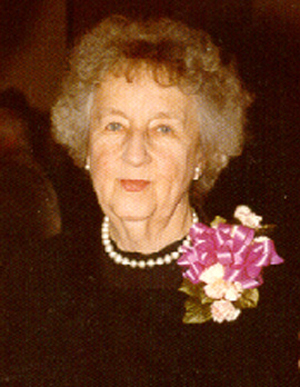 Mary Breckinridge is a pioneer for the development of rural public health care. After the death of her two young children, she pursued nursing. 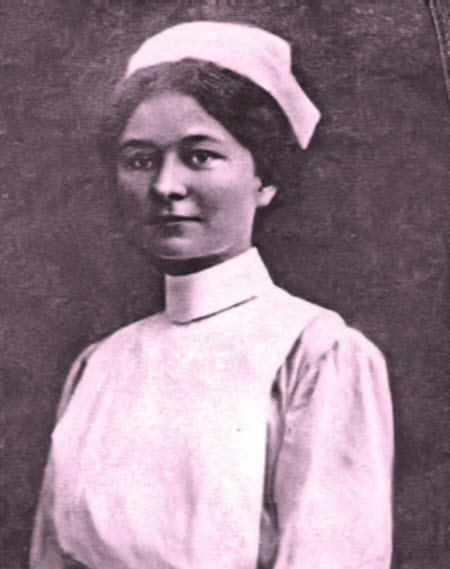 After finishing her studies at St. Luke’s Hospital in New York, Breckinridge became a registered nurse in 1910. 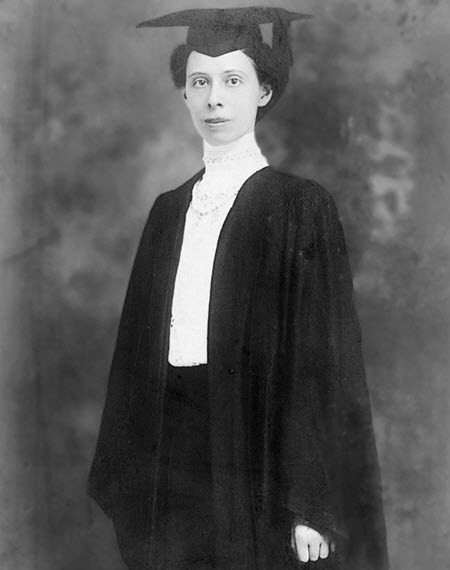 In 1925, she founded the Frontier Nursing Service (FNS). FNS is a team of nurse-midives dedicated to bringing healthcare services closer to people living in the Appalachian mountains in eastern Kentucky. They traveled by horseback to the Appalachian mountains so they can provide immediate medical attention to sick and pregnant Appalachian locals. Trivia: Mary Breckinridge became part of the American Committee for Devastated France after World War I. By working with French and British nurse-midwives, she gained inspiration to introduce nurse-midwifery to US. Helen Fairchild is an American nurse who became part of the American Expeditionary Force during the World War I. She sent many wartime letters to her family in the US where she detailed her daily life as a combat nurse. She died from post-operative complications she sustained after undergoing a surgery for gastric ulcer in a British base hospital. Trivia: Helen Fairchild volunteered for front-line duty at the casualty clearing station during the Third Battle of Ypres. As a result, she was heavily exposed to mustard gas. When she died due to post-operative complications from a gastric ulcer surgery, her post-mortem examination revealed hepatic complications. The hepatic complications resulted from the chloroform used as her anesthesia during the surgery, possibly worsened by her past exposure to mustard gas. Mabel Keaton Staupers finished her nursing studies at Freedmen’s Hospital School of Nursing where she graduated with honors. Afterwards, she worked as a private duty nurse. During World War II, she fought for the inclusion of black nurses to the Army Nurse Corps. She won and all nurses regardless of race were accepted to the military. 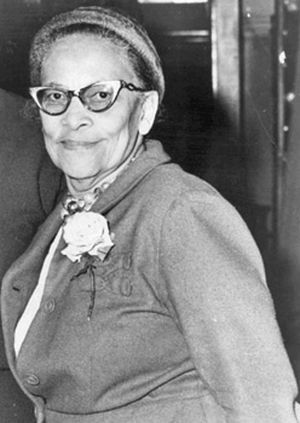 She also became the executive secretary of the National Association of Colored Graduate Nurses and continued to work on the rights of black nurses. Trivia: Staupers dissolved the National Association of Colored Graduate Nurses when it merged with American Nurses Association in 1950. Virginia Avenel Henderson finished her formal nursing education at the Army School of Nursing. She then received Master’s Degree from Teacher’s College. After her studies, she started her career in public health and worked for the Visiting Nurse Association. She also became a nursing instructor before focusing in academe research. Trivia: Henderson’s career in nursing academe started when she helped revise Bertha Harmer’s Textbook of Principles and Practices of Nursing in 1939. Her involvement in academe prompted her to focus on nursing theories and developed her own. Since childhood, Florence Guinness Blake was encouraged to become a nurse and she took this privilege with great passion. 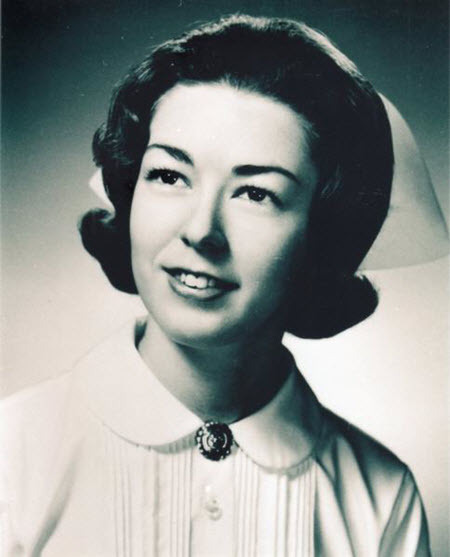 She pursued pediatric nursing and worked hard to improve the education system of nurses especially those in pediatric nursing field. She founded an Advanced Pediatric Nursing Graduate Program at the University of Chicago and published a book entitled “The Child, His Parents and the Nurse”. 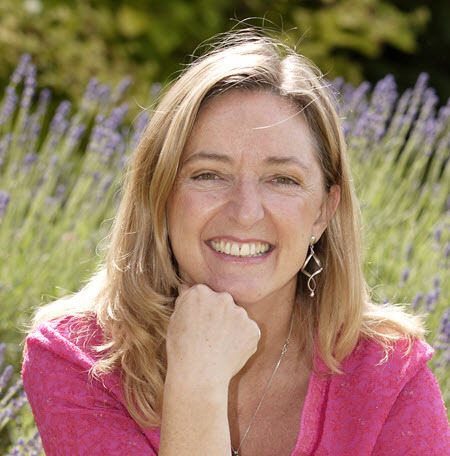 Her published book aims to highlight the role of parents in their kids’ medical care. Trivia: Before revolutionizing nursing education, nurses in the US were trained through hospital-based diplomas. These diploma programs were designed to immediately meet nursing demands in short-staffed hospitals and not primarily for formal education. Blake’s work in formalizing nursing education in colleges and universities helped improve the modern nursing education system we know today. 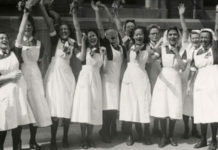 Famous Achievement: Helped reestablish the nursing profession in Japan after World War II. Virginia Ohlson is part of a team sent to Japan to study the effects of atomic bomb. During her work in Japan, she helped resurrect the nursing profession in the country. When she came back to the US to pursue a teaching position, she helped in curating scholarships to international nursing students. Trivia: Ohlson became a teacher and administrator in Chicago’s College of Nursing where she advocated for international student scholarships. 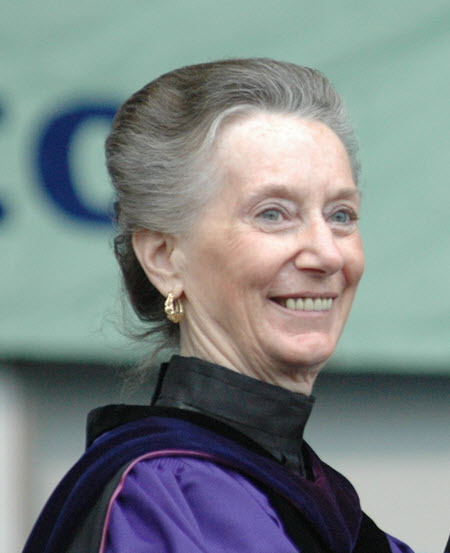 An annual lecture in the school was named after her to honor her contributions to nursing academe. Christiane Reimann is a nurse from Denmark. 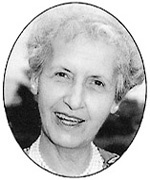 She was a major influence in the development of the international nursing community. She helped establish the International Council of Nurses. 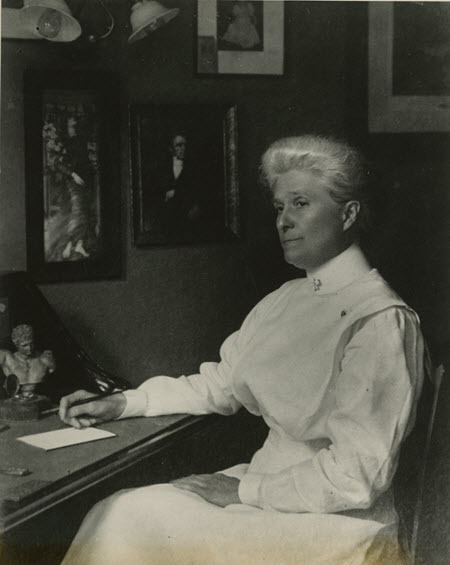 Trivia: Reimann became the first executive secretary of the International Council of Nurses. She left the position early to manage a family farm but still remained a consultant to major international nursing issues. Famous Achievement: First African-American woman general in history. 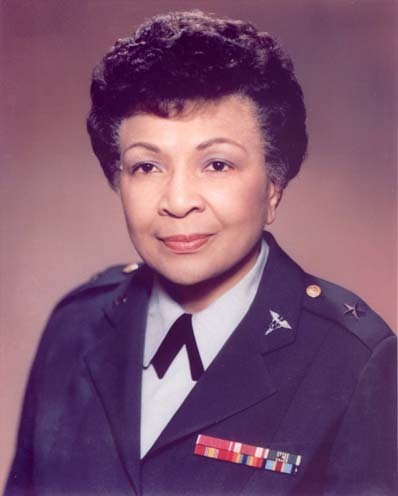 Hazel W. Johnson-Brown became the first African-American woman general in history. She was originally a nurse by profession and she was even appointed as the chief of Army Nurse Corps. She was also appointed as the Dean of the Walter Reed Army Institute School of Nursing. Trivia: Hazel W. Johnson-Brown was first rejected by the West Chester School of Nursing because of her race. She gained inspiration from this in working hard to achieve success in her chosen career. Famous Achievement: Expert in nursing conceptual models and theories. Jacqueline Fawcett is recognized as one of the most influential people in the field of nursing. 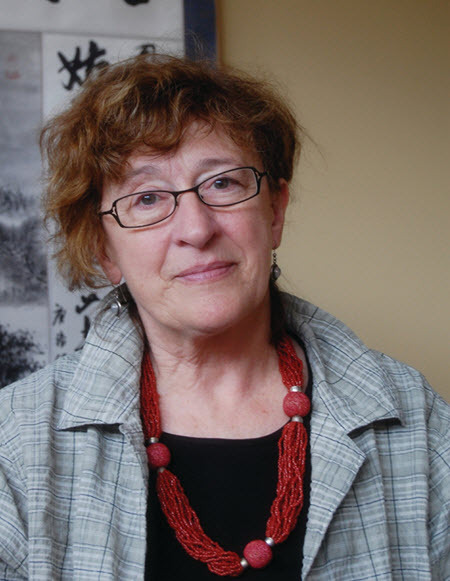 She is an expert in nursing conceptual models and theories. She is currently working in updating and improving the curriculum of nursing educational programs in universities. Trivia: Fawcett currently holds a research and teaching position at the University of Massachusetts Boston’s College of Nursing and Health Sciences. She is teaching and exploring the practical applications of nursing theories to aspiring nursing students. Sharon Ann Lane is an American military nurse who volunteered in Vietnam War front line. 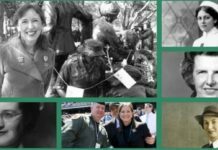 She died while on-duty in war-stricken Vietnam. 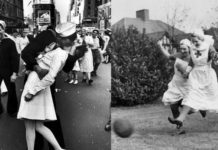 Her death raised awareness about the sacrifice of women who served the war and she became an inspiration in public outcries for ending the war. Trivia: Lane is one of the eight American military nurses who died while on-duty in Vietnam War. She was killed in a fire. Barbara Stilwell is the first UK nurse awarded to study in the US to become a nurse practitioner. After finishing her studies, she returned to the UK and developed its first Nurse Practitioner Program. Trivia: UK’s Nursing Times named Stilwell as one of the most influential nurses in the last 60 years because of her work in bringing the Nurse Practitioner profession in the UK. Dame Claire Bertschinger is an Anglo-Swiss nurse who dedicated her career in helping vulnerable people in developing countries. She worked for the International Red Cross during the Ethiopian famine in 1984. Because of her passion in helping people, she received plenty of international recognition like the Woman of the Year Award, Human Rights in Nursing Award and the Florence Nightingale Medal. Jeanne Prentice is a nurse-midwife. She advocated for natural and home births. She also led the PUSH! Initiative which supported the rights of women to choose where and when they will have their babies. 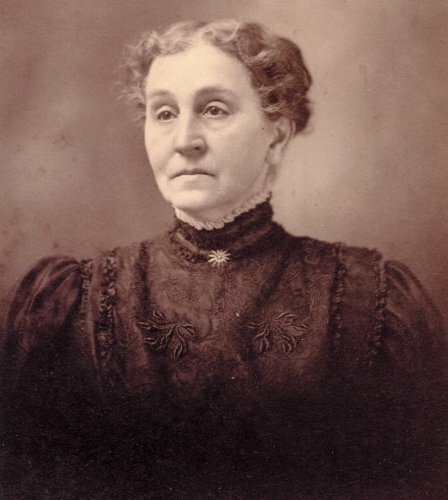 Trivia: Jeanne Prentice was the first modern nurse to stand for the rights of women who prefer home births. 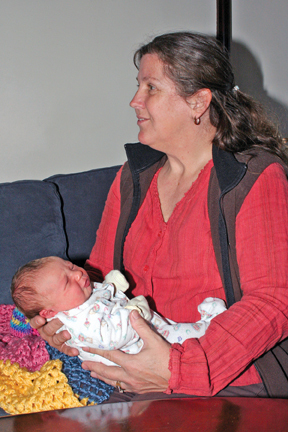 She pushes to recognize Certified Nurse Midwives in supervising home births rather than licensed physicians. 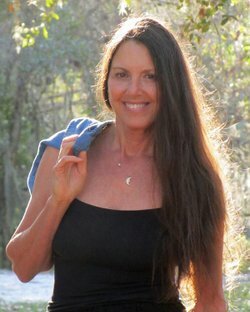 Echo Heron is a nurse and a best-selling author to medical fiction and non-fiction books. She depicted realistic nursing roles in her books and her readers got a glimpse on how it’s like to be a nurse in different hospital settings. Trivia: Heron’s first book entitled “Intensive Care: The Story of a Nurse” quickly made to New York Times’ best-selling list. The book was also frequently used in nursing education nowadays. 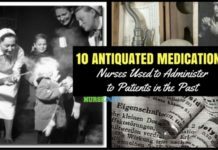 Are you amazed at how these famous nurses handled their nursing career and made a mark in history? Gain inspiration from their achievements and be proud as nursing will always be a noble career through the years.